increased fruit set and a better marketable fruit quality in ambe bahar pomegranate. 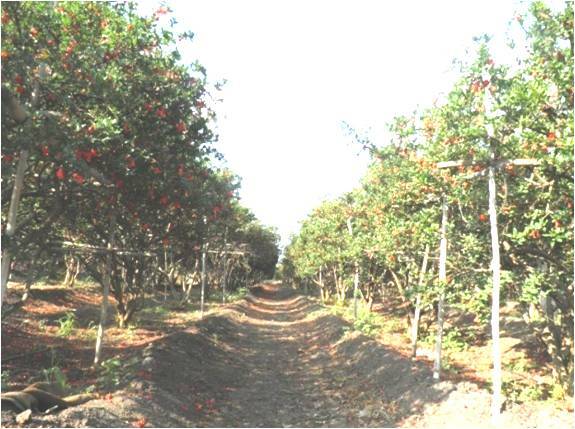 The results have been encouraging as the different technology packages recommended by the KVK have been adopted on a large scale by the pomegranate growers in Sangamner, Rahata and Shrirampur tehsils. The KVK has been instrumental in popularizing the use of pomegranate leaf test based nutrient application which was accepted by over 80 per cent of growers. The average yields under plots based on KVK’s guidance has been observed to be 165 q/ha. The market rates have also been very lucrative fetching an average of Rs 55 to 75 kg for top quality fruits. 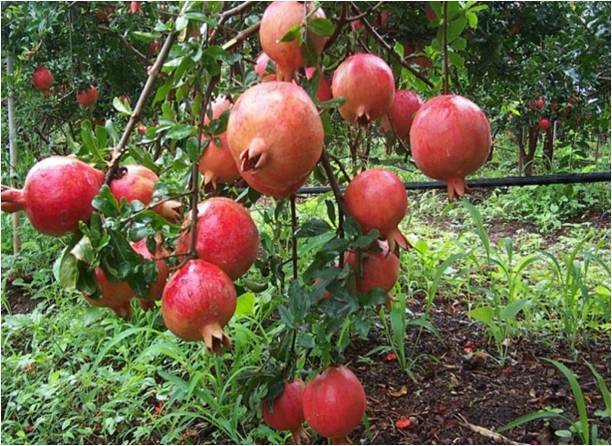 The pomegranate growers are getting net income of Rs 2.5 to 8.5 lakhs depending upon yield and market rates as is observed under KVK’s demonstrations. During the current year 60 demonstrations were organized which comprised focus on Integrated Disease Management and Integrated Nutrient Management in Pomegranate. The adoption of the improved technology package under demonstration is 82.1 per cent. The horizontal spread of the technology package due to KVK’s efforts is prevalent in 4 major growing pockets of Rahata, Sangamner, Shrirampur and Rahuri and also Sinnar, Niphad tehsils of Nashik and Vaijapur tehsil of Aurangabad District. The number of growers who are directly taking the benefit of soil and leaf test based nutrient application, disease diagnostics and advisories.Teh timely advisories sent through Mobile SMS texts maximum response in terms of queries and actual visits to KVK by pomegranate growers is a major influential technological tool serving greater number of farmers in shortest possible time.